Unlike before, we have access to better technology to build better solutions. Our oncology solution brings everything (Regimen Designer, EMR, User Management, Administration, Analytics and chemotherapy administration) together. In this blog I am writing about staging. When clinician is staging, some information has to be made readily available. Sometime ago, I wrote about how our regimen designer provides an easy and powerful way of configuring stages for different cancers. In this blog, I am writing about how clinician uses that information in EMR while staging patient’s disease. If Clinician wants to see more details, he just has to expand the appropriate sections. See the screenshot below. Clinician can easily look at tumor sizes, Biopsy reports, Imaging reports and blood tests. Most of the Rheumatology practices manage their drug inventory and dispensing information on paper. Current breed of EMR/EHR solutions do not have very good support to help with this workflow. Our product Koduq is designed from ground up to help these medical practices to be more productive and reduce errors. Track drugs entering your practice from the time it is placed into inventory, through dispensing, the billing cycle, until full payment is received. Eliminate unbilled, misfiled or misplaced drugs. If your practice is currently managing drug inventory with spreadsheets or paper then use the best product in the industry to modernize your practice. With KoduQ you will instantly save valuable staff time and cost. When information is easily accessible, stake holders can take timely actions to make their businesses run smoothly and cost effectively. Our solution has rich support for mobile access to information. Users can access information from their computer browsers, iPhone and iPad. To enhance the practice workflow for dispensing, native iPad application is provided to manage daily dispenses. Add a given drug shipment into inventory and track the usage. 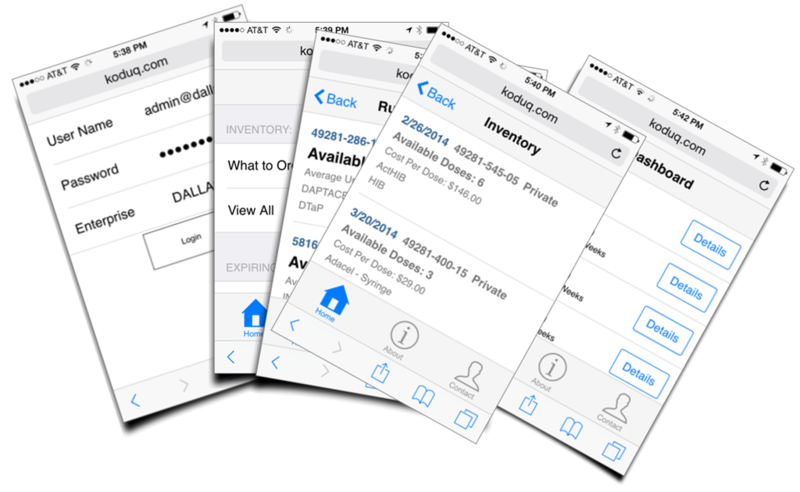 Manage thresholds for drugs and be notified when inventory goes below threshold. Schedule infusion patient and know what drug & quantity is required. Make sure that, when patient arrives for infusion, you have the drug in the inventory. Record drug dispensed for a patient in just few clicks. Electronically capture clinical and financial information. It virtually takes same amount of time as your current paper based process. Determine if a drug has been accurately billed based on actual dispense. Current paper based process will not let the stakeholder access this information easily. Eliminate staff hours spent tracking drug doses. Know when to order and what to order easily. No more manual recordings on paper which is error prone. Record who did the inventory and dispense operations for auditing purposes. 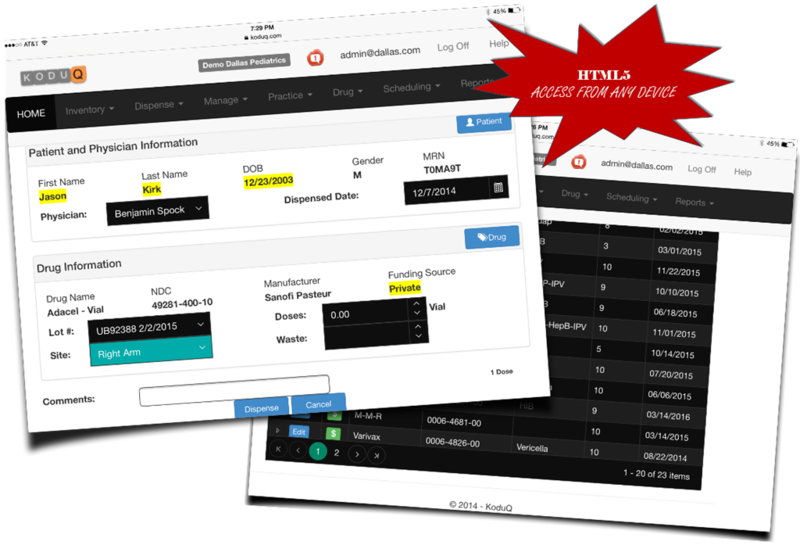 Powerful Reports for Inventory, Dispense and Billing. 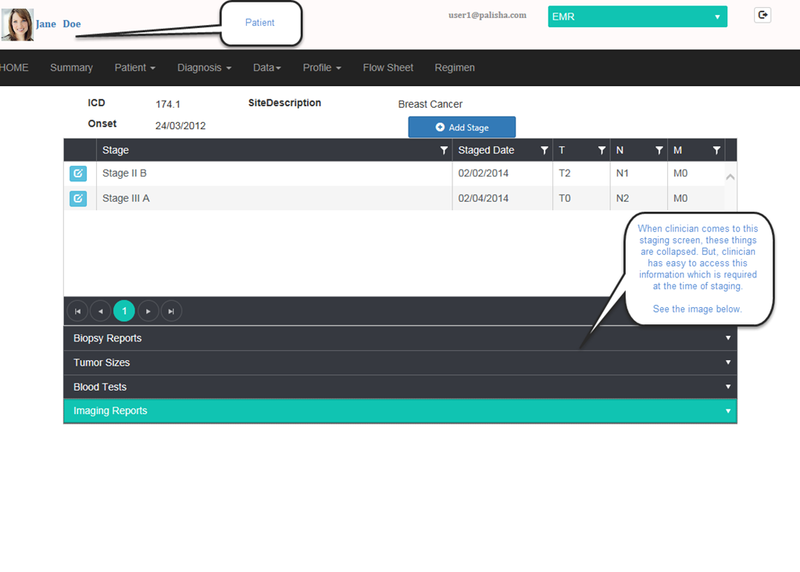 Find Current Available Counts, Dispensed Counts, Historical Counts (Monthly, Yearly, Daily). 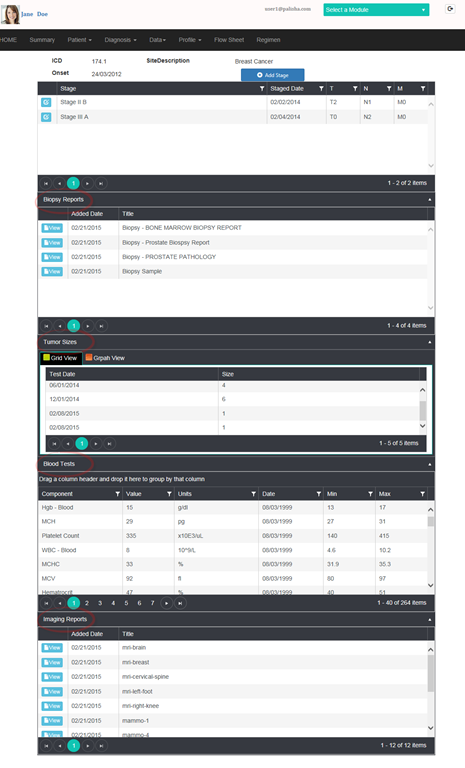 Configure alerts for low inventory, Expiring Drugs, Unbilled Doses. Identify LOTs that have been dispensed or in current inventory. Our platform is built using latest industry standard protocols. This will enable us to integrate with various EMR, BILLING and other software systems. Our system also supports importing of EDI ASN files, so that medical practices don’t have to manually key in inventory information when drugs are received. You can access information from mobile devices from anywhere and anytime. In order to help the physician office workflow for dispensing, a convenient iPad solution is provided. It is normal practice that when medical practices buy drugs, payment to drug supplier is made through practice account. However, at the tax time, profit-loss should consider who used what drugs (and how many). Our software makes this process very simple. By click of a button, required reports can be generated and sent to CPA for tax purposes. We do not expect you to sign any binding contracts. If you don’t realize ROI, you can cancel anytime. There is no contract obligation. Our solution is securely hosted in cloud. There is no need to install any additional software in your practice. Our system and software are hosted in secure Microsoft Cloud Datacenter. Information is made available only to the authorized users in a given practice. Staging is an important aspect in cancer diagnosis & treatment. It drives the treatment options. How do you take this complex information and visualize in a user friendly way? All stages are not created equal. For example, Stage II of breast cancer may not mean the same combination of TNM as that of colon cancer Stage II. 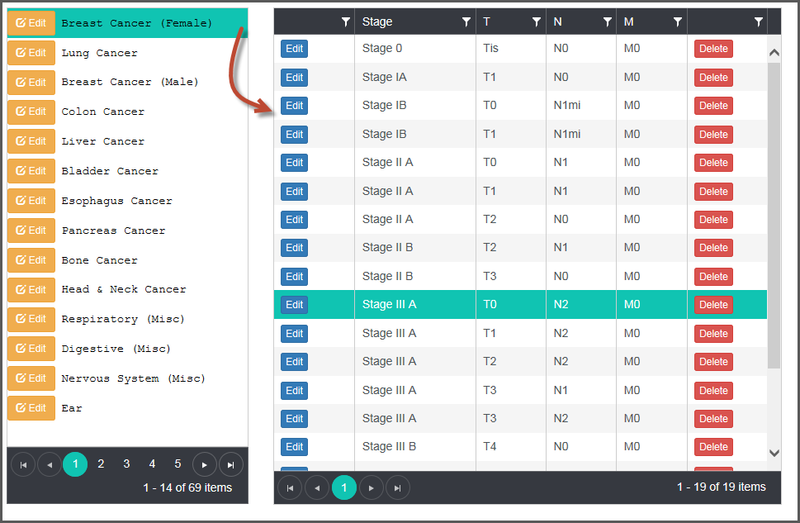 In our software, we provide a very user friendly way to configure these staging information for a given type of cancer. I am attaching one of the screen shots from our software below. At Palisha, we are trying to build one of the very best oncology solutions. The following diagram is the showing various stages of Breast cancer. Besides this friendly UI, our platform lets you control who can make these changes. This UI looks just like this on all the major browsers (including the ones on iPad, Android and Surface). In our cancer solution we are trying to visualize the cancer details in a meaningful way to aid the treatment process. 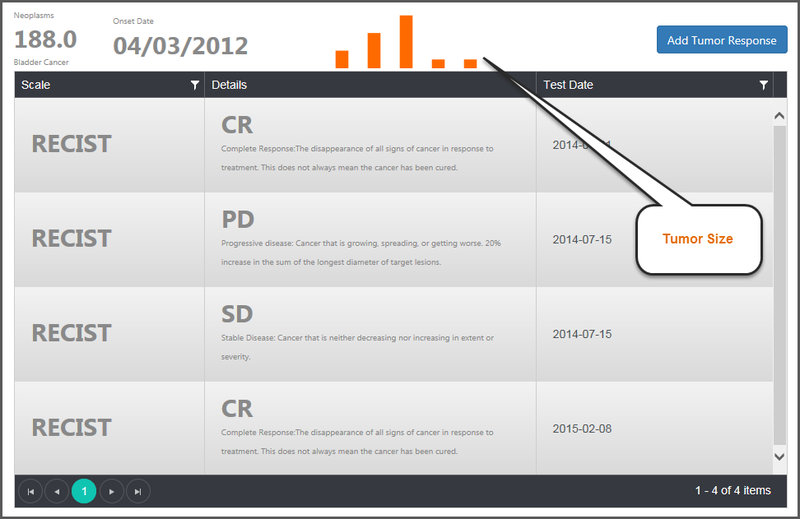 Following is one of the screens where we want to present the tumor response details to the user (clinician).